Belmopan. April 3, 2017. 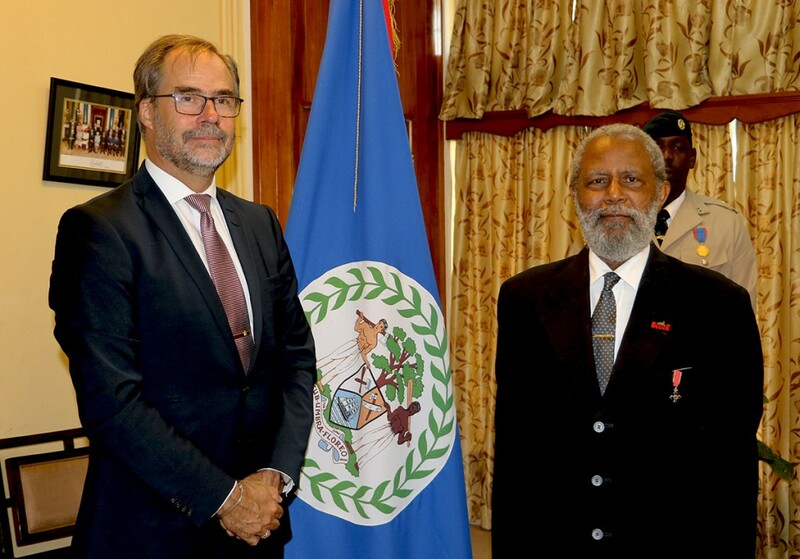 Five ambassadors presented their Letters of Credence today to the Governor General of Belize H.E. 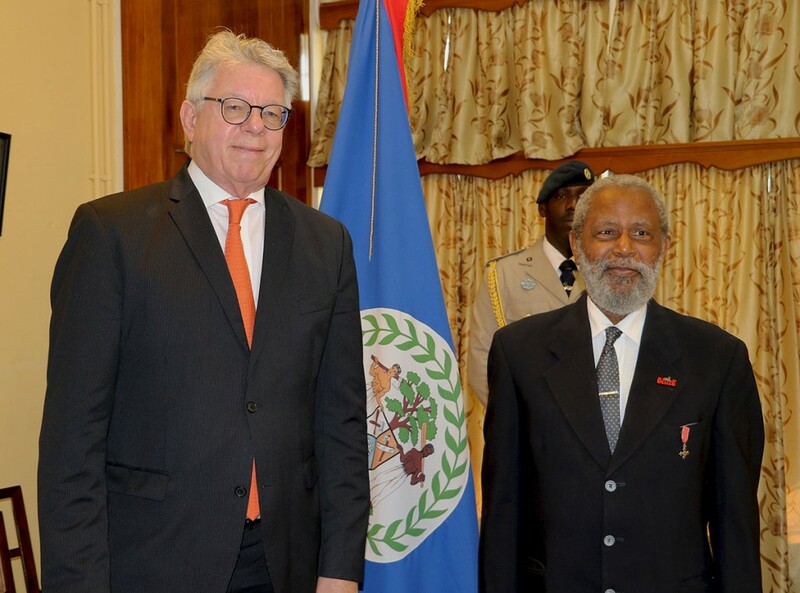 Sir Colville Young at the Belize House in Belmopan. The ambassadors were: H.E. Harald Peter Klein, Ambassador of Germany; H.E. Georg Andrén, Ambassador of Sweden; H.E. Eduardo Jose A. De Vega, Ambassador of the Philippines; H.E. Mohammad Taghi Hosseini, Ambassador of Iran; and H.E. 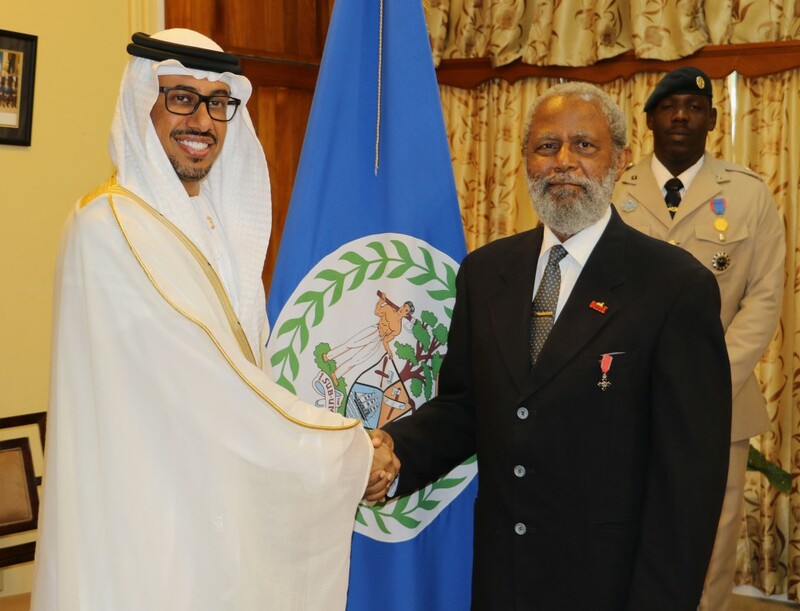 Ahmed Hatem Barghash Almenhali, Ambassador of the United Arab Emirates. 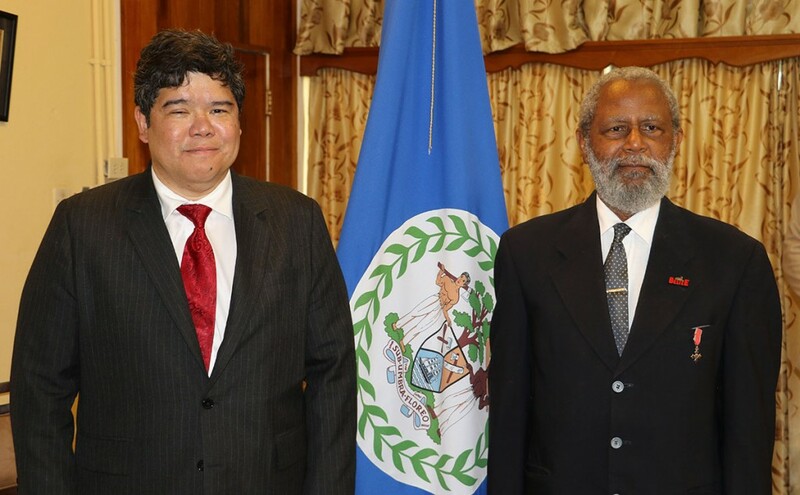 The Ambassadors each expressed, on behalf of their respective countries, the desire to maintain a strong friendship with Belize, as well as interest in pursuing areas for further development of diplomatic ties. 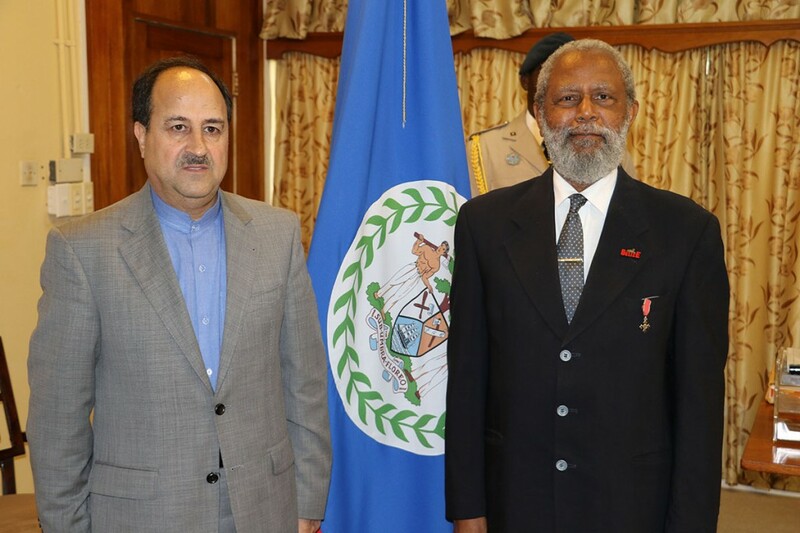 The Governor General graciously received the Ambassadors’ credentials and welcomed them to Belize.